The Grocery Game Challenge #12 March 18-24,2013- Pass The Salt Please! How much salt do you consume on a daily basis in your diet? If it’s more than 1500 mg a day you may want to start learning more about sodium and how much you are shaking on your food, putting in you meals and purchasing in pre-made foods. It’s something we don’t normally think about when we buy food but after watching this past weeks Marketplace episode “What’s On Your Plate” things changed. While at the supermarket we started investigating labels ourselves. Needless to say the wife and I were shocked when we turned labels over and started doing the maths. We literally walked up and down the cracker and pasta aisle reading labels and trying to make sense of it all. After watching the show we concluded that we likely have far more salt than we need in our diet and hope to make some changes. Sometimes it’s television shows like this that really open our eyes to what most of us tend to just “forget” or pretend to hear. If you are not sure about your sodium level head over to Marketplace and test your plate for sodium with their interactive sodium calculator, I bet you will be surprised. It’s interesting as you get to drag food to your plate starting with breakfast right up until dinner including snacks. How Much Sodium Does The Body Need? Total- 3154 mg sodium (ouch) consumed for the day which is 137% of the 2300 mg maximum daily limited recommended by Health Canada. You actually only need 1500 mg of sodium every day. In other words, I need to lower my sodium intake. Mind you I don’t really eat club sandwiches maybe a tomato sandwich with cheese, nor do I have a latte rather a cup of reg coffee. It was a good eye opener though so I hope you test your plate. Although the recommended number above seems like alot once you start to read labels on products you consume you will quickly realize it adds up very quickly. The National average according to Marketplace is 3400 mg per person each day which is far too much. Our bodies need sodium as it is an “essential mineral and electrolyte which controls the body’s acid base balance and fluid volume”. Most times we turn a blind eye to all the health concerns that can surface slowly over the years because it’s not present now. What I mean is that it seems every time we turn around something is not good enough for us. I often joke that we should just live off of twigs and berries but in reality it’s not so bad of an idea to go back to basics. Sticking to a healthy meal of fruits, vegetables, grains and dairy especially organic home-grown fruits and vegetables if you can afford it in the budget. Alternatively growing your own food from seed in the garden may encourage healthier eating. Probably one of the scariest tips they gave was “too much sodium has been linked to increased risks down the road such as osteoporosis stomach cancer and severity of asthma”. They also state that if we take steps to “lowering your sodium intake will reduce the risk of high blood pressure, stroke as well as heart and kidney disease”. Marketplace went around Canada taking urine samples of every day people including young students and athletes to see just how much sodium was in their system. Just like the participants themselves we were in awe seeing how much sodium was in their urine.Even the people who thought they led a healthy lifestyle and ate top-notch meals and exercised had higher levels of sodium. I went in our pantry to check the labels on some of the products we have and one in particular was a can of bush’s baked beans. Seems healthy enough as they are beans and we have lots of them because we do enjoy them and used a coupon to get them for around a $0.25 a can. We don’t stockpile food so much these days as we weren’t going through it fast enough but this is some of the last cans of what we have left. The sodium was a whopping 550 mg, 23%, per 1/2 cup serving or 125 ml. The wife and I can eat one can split between the two of us with a protein and vegetable. The beans alone rings in at 389 ml of beans per can which means there is just over 3 (3 x 125 ml = 375 ml) servings in one can. If we finish one can between the 2 of us we will have ingested around 825 mg of sodium, JUST WITH BEANS and that’s not including the rest of the meal. Needless to say we won’t be eating beans in the can any longer once the few cans we have are gone. Now when we shop we are going to try and be aware of labels and look for foods that are “less than 360 mg of sodium per serving” according to the guidelines. One percentage that really hit home and I’m sure you can all relate is that 88% of the sodium in our diet is added when we are cooking our meal or was manufactured with salt added. That means that we are likely ingesting far more salt than we need that is not naturally occurring in the products we buy. What we plan to do is learn how to make our own homemade vs store-bought baked beans so we can control the amount of salt that goes into out food. I know we only live once and trying to control every morsel that goes into our mouth might be tough but I thinks it’s at least important to be aware of what we are putting into our bodies. Just like budgeting, knowledge is power and the more you do something the better at it you should get. We will work on lowering our sodium little by little and see if it we can eliminate adding too much salt to our meals. Tell us how you did if you used the sodium calculator and what you plan to do to lower the sodium in your diet? This is the third Grocery Game Challenge week for March 2013~~ Post your Shop and you might be our next Grocery Game Winner! For Inspiration read about Canadian Budget Binder fan Donna R who shares her secrets for lowering her family’s grocery budget from a whopping $1100 a month to $600 give it a read now. Weekly Overview: Next week is a no-shop week for us but we shouldn’t need to run out to buy anything. There is a bit of money left in the grocery budget but let’s just see if we can stay out of the shops. This week we did find some great deals with pink stickers on pet treats. That will go in under our pet category in the budget not the grocery budget. We also were able to get some posh cheese with pink stickers 50% and since we likely wouldn’t buy it at full price it was a treat to find it half off. We can’t wait to try them out. Mrs.CBB also spotted boneless pork chops for half price at No Frills which we couldn’t resist. Another couple stuck their head in the bunker and we said, yes it’s a great deal so they walked off with 3 club packs as well. Great shopping week for us and some new coupons found as well! Next week is the last week for March Grocery Game Challenge so make sure you get all your shops posted. How was your grocery shop this week? Post your shop exactly like how I did and let us all know. FAQ’s- Grocery Game Challenge RULES….. Does Your Grocery Budget Include Health and Beauty and Laundry? Yes our Grocery Budget includes such items as shampoo, conditioner, laundry soap, fabric softener, dish soap etc. We don’t mind stockpiling items that won’t be effected by expiry dates or have long expiry dates but not so much food any more. It’s just one way to help cut your budget to save money. The A-Z Of Saving Money E-Book-A to Zero Excuses! I shop for 2 adults and a 2 year old toddler. Our budget is $90/week or $360 for this month and includes baby items, laundry, health/beauty, etc. Colgate toothbrush (PM NF) 2 x $1.00 – 2 x $1.50 coupon – 2 x $1.00 Checkout 51! •Weekly overview: I’m continuing to impress myself for March. One more shop on Saturday and I’m done. I am going to finish this 5 week month under budget for a 4 week month!! I’m proud of myself for that. Almost the end of March and so far this year I’ve spent what I would have in just over a month in the past. Coupons, Checkout 51 and my MIL’s CD really help me out. I try my best not to shop until she’s working so I can use her card. I’m loving the GGC!!!! lol we call my MIL regularly to get her schedule lol, The egg and dairy sensitivities are taking some work. I have a lot of the big things cut out like milk, sandwich spread, cheese slices, eggs…but I can’t cut out the chocolate. I don’t have to cut everything since its a sensitivity and not an allergy but I’m trying my best. Unfortunately, I’m not seeing much of a difference as of yet. Our weekly budget is $100 a week making $400 a month. We have really gone over budget this month and hoping it doesn’t add up to be too much next week. There have been some amazing clearance deals too good to pass up at work that we took advantage of for next weeks budget. The hubby and I talked and okayed the overage for the month which I know we shouldn’t do but in the long run it should save us. Working at a grocery store is very tempting and convient. But sometimes it really works and is to our advantage!! Bacon for .99 per package and smokies for $1, yes please!!!!!!!!!!!! Needless to say we really stock up then 🙂 But with that said I know what the best sale price for all our meat is and most other items as well. I feel that helps us alot with our day to day shopping and even the planning of a grocery shop. Sorting, clipping, oraganizing, trading and ordering coupons takes time but the hours I would have to work to make up the difference really makes couponing worth while! My hubby has full trust and faith in me and us keeping to our budget or as close to it as possible. I am proud that he feel that way about me 🙂 Also we used to spend $1000 to $1500 a month on food and take out. So to get down to $400 and month is huge for us! We are also goingto increase our budget for when the kids are here when needed. That’s amazing that you have changed your shopping habits to reduce your budget so much. It makes sense that you would spend more when the kids are there. I can see the temptations working in the shop but you also score some amazing deals. Hi Kelley! Welcome to the Grocery Game Challenge. My shops tend to exhibit my personality…it’s either all or nothing! LOL I really do embody that saying, “Go big, or go home”. Many weeks I have to completely stay out of the stores because I went hog wild one week earlier in the month. I am planning an Easter Saturday shop south of the border, so check out next week’s post to see if I can manage to stay under budget. Got my fingers crossed! I had to really watch my salt intake when I was having some kidney issues a few years ago. It is amazing the amount of salt you find in everyday foods which we don’t really realize unless we are looking for it. We really need to watch those food labels. Here’s my shopping for the week. •Weekly Overview: Didn’t do much shopping this week, just had to pick up a couple of things. Next week will probably be a bigger one for me as I may be making Easter dinner for the family. We will have to see. I think I may have to just consider lowering my budget again as I am being so much more thoughtful in what I have been purchasing since playing this game. I still have almost half of this month’s budget to spend with just a week left. Could certainly use it elsewhere such as when we go camping this summer and into savings. Certainly can’t have enough in savings and emergency as you never know when something may come up. Ended up having to get our drainage pipe from the house to the street repaired as it broke due to tree roots and was causing water to back up in the basement whenever we did laundry. Thankfully I had the emergency funds to pay for it! Weekly Overview: This is my first week trying posting on here. Our grocery budgets includes groceries, stockpile, personal products and pet food as well. We are two adults and have two larger dogs and two cats. I’m still working on fine-tuning how we track everything. I’ve added extra to this months budget to reflect what we have already spent – we’ve starting cooking more from scratch and bought a lot of staples this month. We use cash to pay for groceries so we often round it to the nearest dollar when we are entering it into our budget – the change usually ends up in a jar and I roll it when we get enough. It was great to find your website, I’ve really been enjoying reading the articles. One thing I noticed this week is I really have to pay more attention to sale prices ringing through at the till, I’m usually pretty good at catching things but I didn’t notice two things until I got home this week! I told all my fans on Facebook we had a NEW poster in the Grocery Game Challenge so now you are stuck with us!!! Many of us have been posting for over a year and have seen significant changes to our grocery budget. I hope you stick around, motivate yourself and never give up. If you need anything there is a forum on my Facebook page you can ask questions, or email me direct. Don’t forget about the scanning code of practice. If you don’t know what it is, I urge you to read this. It’s great for when items ring up incorrectly! There are so many tools and articles I’ve written here so take your time and read through them all. IT all takes time but what you WILL gain from posting your shops is a diary of what you are buying and where your money is going. Some fans have made changes because they see they are drinking way too much pop and it’s costing them a fortune. It’s a great tool this grocery game challenge to keep us on track towards our goals. Both No Frills and Walmart have the scanning code of practice. If your products that came up with the different price are in the grocery flyer call the stores, leave your name and tell them you have your receipt and that the product rang up at reg price not the sale price in the flyer. Tell them you would like to apply the scanning code of practice and your name and next time you come in you will bring your receipt and you will those products for free up to $10~~~ It’s free money if it scans wrong.. so read the article on SCOP! Where are you located? You have a healthy budget for the month $370 what is your goal? If you grocery budge for the month is $250 how come you have it as $370? How are you doing your calculations? or did you factor in the extra week this month? I’m nosey. 🙂 There is still one more shop left for this month which is already posted. Is this your final shop for March? If not you will go over the budget this month but that’s ok you are learning and you will see how fast you make changes!! Keep at it and welcome Kelley! Thanks for the warm welcome! I’m from Calgary, AB. I’m familiar with the SCOP and I have used it before while I was in the store, but I don’t usually if I noticed once I get home. I looked and the flyer didn’t have the sale listed that I thought I saw at No Frills so it could have been my mistake. I don’t shop at No Frills very often as there isn’t one close to my house. If it was a bigger dollar value, I would probably go after it, but the closest No Frills is about 25-30 mins away and I don’t go very often – I need to factor in gas/time. Hi Kelley!! Welcome Calgary AB!! 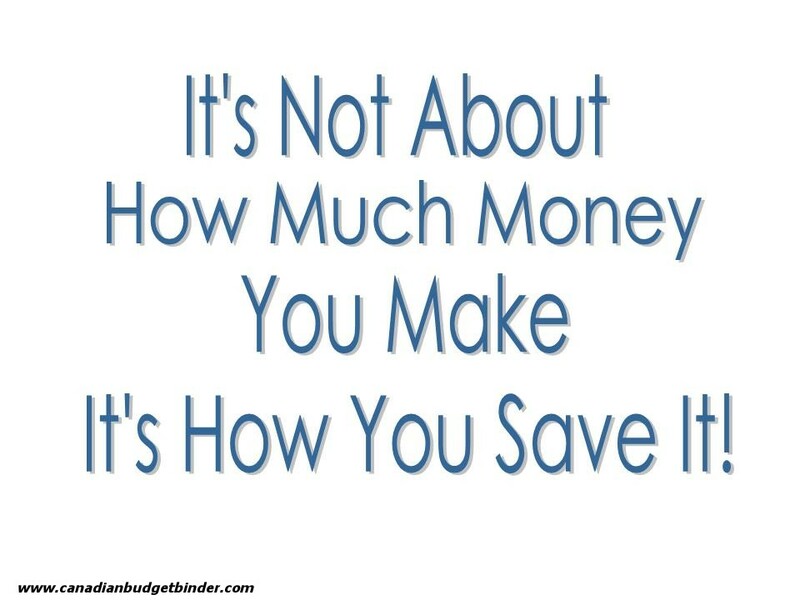 You know the important part is the ability to analyze your spending by looking back at your expenses like you’ve done. The data is so important in my opinion and for those that don’t budget I don’t know how they do it. Being honest with your budget is most important which you have done which is an important step to getting the budget under control. Yes, gotta start somewhere. You will be tracking your progress on your own so that’s the best part.. all you do is report it here so we can all review it, motivate and cheer you on! We call if we miss a SCOP and leave our name and they credit us next time we go in typically. •Weekly Overview: I was certainly not on my game this week due to illness. I’ll be more careful next month. OK Here’s the bad news for my shops…. I went way over!!! I suppose the good news is in the stocking up I managed but it’s still way over….. I went to 3 different places this week looking for the deals. I really went over this week but there was stocking up and sales, especially at Sobey’s and the Independent. Sobey’s had the shampoo and conditioner with a couple of coupons to help, the stir fry veggies, cheese, pop, yogurt and the boneless chicken which will be combined withthe stir fry veggies to make a number of meals. Everything at the Independent was on sale and/or a coupon. Pop, dish soap, Chez Whiz (a food group here!) cat food, Tetley teabags. The ziploc bags are used a lot here and I had used my last freezer bags the day before with the chicken breasts, and the coupon helped. The butter was a good price too. So I’m good now for a number of things that can be higher priced items so that will help long run. There’s always a lot of milk…Now we see how long it takes me to get back on track…. Easter ill help as we will be at my SIL’s for Good Friday and I plan to get that turkey in my freezer out for Easter here, which will mean lots of yummy leftovers!! I picked up some bonus points along the way from Sobey’s including the ones from the yogurt so that might be handy down the road…. I’m still trying here….. The car we got was a Toyota Cambry 2001. Soulds old but is in excellent shape, body and motor. Toyotas go a long way. I hate the V6 part ( gas) but I still have two kids in car seats and have struggled in the past to fit the teenager ( sitting sideways) in between the car seats. Now there is lots of room and good truck space for mom’s wheelchair. I found Metro expensive as well and like you went hunting for coupons. Did not find a one. What’s up with stores and coupons? Never see them anymore. I currently have my necessary 5 vendors and 423 Air Miles accumulated for the 2013 calendar year. I expect to earn an additional 200 miles on the AMEX April statement based on the monthly charges and this coupon would have brought me in well over 1,000 Air Miles required in the year to retain our Gold Status. See… Mr CBB and my fellow CBB fans kept me on the straight and narrow this week even though I REALLY, REALLY wanted to SPEND, SPEND, SPEND! Not into salt here either. How I was raised. Dearest however was raised with two salt shakers at every meal. I always forget to put it on the table and he has to go up and get it. I didn’t see the program ( no TV here) but my father-in-law, the high blood pressure eat salt until he dies man, told me about it. hasn’t changed how he uses salt though. Not a good week for me in the grocery department. I have had a frustrating week with having to buy a used car and daughters car also needing much work. My folks had doctors appointments most every day this week, so I have been on the run and this plucks me into grocery stores. I went to metro for the first time, and won’t be returning and a different Sobeys for their chicken sale. Other then that I had a few coupons for Bulk Barn and used two of them. I have $283.90 to spend in March. The $340.00 minus the over spend of February of $56.10. •Weekly Overview: I shopped every store in the city this week and really stocked up on food. That said I went over budget! It was my first time in this Sobey’s and first time for Metro ( won’t be returning). teenager is having a party here next week. I found the pizza crust on the half price rack at Superstore, and the cheese half price as well. It will make affordable pizzas for 14 young ones. It does put me over budget though. I did some shopping at Walmart. I hate that store but I couldn’t count on No Frills having these items in stock. Wednesday when I shop at NoFrills is after the Child Tax Creidt comes out, the shelves would be bare and they were. Are you having trouble reading my posted grocery list? I can post it again, if you like. Sometimes I make mistakes when I do things which are computer related. I’m still a child of the manual typewriter era. Weekly Overview: I was able to stay out of the grocery store for past two weeks (Yah me!!!!!). Because this pay was an additional pay so I decided to stock up with some amazing deals, at least I thought they were amazing. I know that I’m over budget but the food will last that entire time and some yet. I had made a meal plan but I made it for only 1 week instead of two. Well the fact that I made a meal plan is a step in the right direction. I’m looking at this year as a base to start how to improve next year, not that I’m not trying to improve now but I can’t see where I am starting from how can I get better? When I cook, I don’t tend to cook with salt. I know growing up that if salt wasn’t added during the cooking/baking process, I just didn’t use it. One of my dads, need salt due to low blood pressure while my other dad couldn’t have salt as it put his hands to sleep. Like others in this forum, I tend to forget to put the salt shaker out when we have company and infact, the salt shaker sits in the cupboard behind closed doors. My mom pours buckets of salt on everything…even if it’s already a salty type dish. HBP runs in my family, and even mine is slightly high even though I technically do everything “right,” except perhaps worry a bit too much, causing stress. I know salt really isn’t a huge problem for me, but it’s something to give a lot more thought about. Not everyone does give much thought to health concerns until it is a problem so it’s good to take control now with what we learn from those that know how much our bodies need. We are trying to cut back now as this show really did remind us that there is more to flavours then just salt. Weekly Overview: I’m so proud of myself this week. I was only over by $7. That’s a great improvement from my my previous shops. I was very mindful of shopping this week and I tried my best to stretch the items I already had at home to make it work. I also ate out twice this week 🙁 but who’s checking? 😉 It’s still a time struggle and totally due to lack of planning. For the last week of the month, I am determined to stay in the green! This should be an interesting challenge, CBB. I’ve known people who have gone on low sodium diets and their shocked by how much more they can taste once their taste buds recover from all the salt in a regular diet. Keep me posted, I’m interested to hear how it goes! Now you have me wondering what I will taste once we start reducing the salt in our diet! Mr CBB, it is scary to know how much salt and preservatives are in everything, not to mention the true health detriments! Your body will be greatful for your label reading and conscious avoidance of salt. Keep it up! It’s times like this that it makes us think about what we are doing. We never gave much thought to salt until we watched the Marketplace program. Not the Bush’s baked beans 🙁 I should have figured that. Bf is pretty heavy handed with the salt. I’m always nudging him to stop shaking. Glade sense & spray 7×4.94 -7×5.00=+0.42 overage !! This week i bought 2 big packs of dog pee pads because it was on sale, $5 cheaper than usual plus 20 pads more, so i had to stock up, these 2 big packs will be good for 7 months for Gracie our dog! this is how i went over the weekly budget. maybe should start a monthly stockpile budget as well! another thing i spent this week was some socks and a pair of new legging for myself, and also a pair of earrings for my mother. these go to my seasonal budget, $50 every 3 months for clothes etc. Yes we use tonnes of spices and fruit juices to zing up our meals but will try to cut the salt out a bit. I’ll check the salt thing later but I learned to cook many years ago by cooking for my grandfather who was, at the time, on a low sodium diet. So I don’t add salt to much of anything, ever. We have a water softener but the kitchen cold water line is on a bypass so the water comes straight in without going through the softener. We’re like John, at Frugal Rules in that I don’t even put the salt shaker on the table. Actually if you don’t want to use the salt but want the food to taste good the usual recommendation is to use more herbs and such in the food. Because I use so little salt in my cooking I can taste it when some-one else does…..I still remember my mother-in-law using that Lipton onion soup mix on a roast she made when we were there, I had a hard time eating it as it tasted so salty. Her then boyfriend sat down he grabbed the salt shaker and added more!!!!!! It was all I could do to not gag! There are still the processed foods that I buy but I do try to make as much as I can from scratch, not only is it cheaper but it is better for you. I think once you really get into cutting the salt out of your diet as much as you can you will start to notice in other people’s cooking, when they do use it. There has been talk around town here about sodium levels in the town water being high. So even to, say, boil potatoes I don’t add salt. If I’m making a yeast product like buns or bread I add a lot less than the recipe says to add. There’s so much sodium added to food these days…. sugar is another one to watch, including high fructose corn syrup and the like….. all are added to food in quantity to manufacture the ‘foods’ as cheaply as possible, so now we don’t know what the food in question actually should taste like, if it isn’t as sweet or what ever as we have been taught it should taste we thumb our nose at it. It almost sounds like “out of sight, out of mind” with the salt shaker. We cook lots of homemade meals as well so we have the control over how much we shake in the meals so that’s a start. We really are watching what we buy now but it will be tough. According to the calorie counter I use, I tend to fall in 2000-3000mg of sodium per day. I’m not sure how accurate that is, however, because it is easier to choose pre-existing entries rather than my own recipe so will do that often and I don’t really cook with salt all that much at all. That’s true as we had to pick what they had to offer and like I said I don’t really eat club sandwiches nor eat them everyday. I’m sure the numbers are inflated because of that but what we do know is we likely get more sodium than we need. Those numbers are just crazy! Both of my parents use salt like it’s going out of style, which makes me wonder if it’s a generational thing. We do not cook with salt and do not even have salt on the table. If we want some we have to get up and go in the kitchen for it. There’s already so much in many items why add more? We get around of it as much as we can buy making as much as we can on our own and using our veggies to make different items as opposed to buying it. We use salt when we create our recipes otherwise some meals taste like, um… crap! The problem is we are maybe using a bit too much so we will try and cut it down a bit. Did you test your intake.. check it out, it’s pretty cool. Here is my grocery list for the week. I’m cutting it close, I know. Check out my menu for this week on my blog. You are warmly mentioned as well. Total Over/Under spent for the month of (March): $ ? No idea what my intake is, I rarely add salt but it is scary that just with a couple of shakes you were already twice over the limit. I still have 24 beers from last time but stocking up for Easter we have visits and it was cheap. Same for the nachos but I think BF will eat them before company arrives. I have to hide them. Considering half the shop was beer and nachos this is a pretty cheap week and still under budget. We use salt but we are starting to cut back now after watching that program. I’m jealous of your beer cost, really I am. I paid over $30 the other day for my case. Planning on making nachos or guacamole this week if the BF doesn’t eat them then lol.. wink** This is a classic beer and nacho menu although you did manage to sneak in some veg lol. Happy Easter Pauline.. loving your shops by the way.. ! !